- linear rails vs rods vs v-groove wheels for the vertical movements. - how to achieve the best rigidity to keep print quality high and enable higher print speeds. This was probably the easiest part. 300mm diamter x 400mm high. The 300mm diameter means I can print a 200x200mm square in that area which is about the biggest thing I can think of printing at the moment. 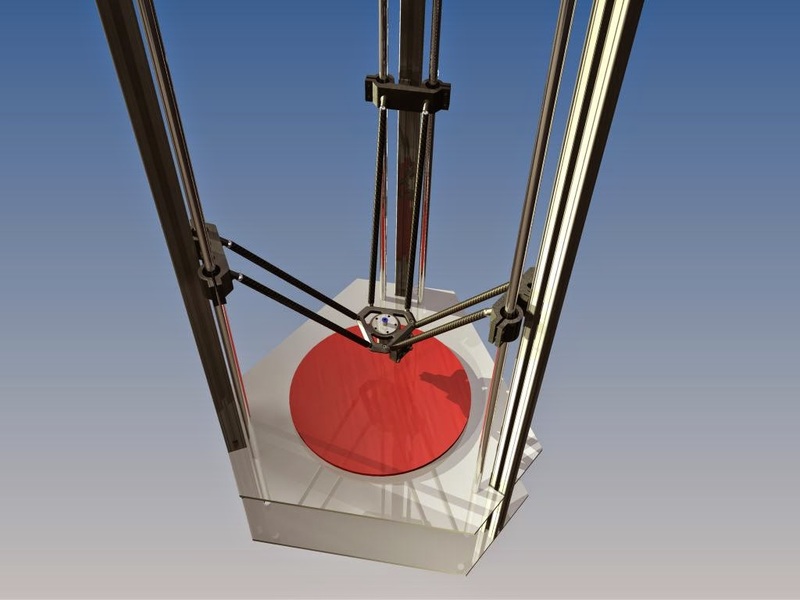 But this also gives me some room to breath outside that area being able to print up to 280mm diameter. I print everything in ABS so a heated bed is a must so what are my options? I found it is very easy to find 214mm square heat beds jstt about anywhere at very low prices but not so easy to find the larger circular heat beds. I did find a 310mm onyx heated bed that will fit the bill perfectly which can be coupled with a Rostock glasss build plate. These would certainly make the build a little easier but with overseas postage the cost will mount up. So what other options are there. Well, I recently build a heat treat oven for tempering knife steel. For this build I made my own elements from Kanthal A1 wire. The process is quite simple, choose the diameter of the wire, and with some maths calculate the madrel diamter, ohms required for the wattage required then using a lathe wrap teh wire around the mandrel, stretch it out and you have an element. The element can run in grooves cut in some fire board. However, because these run off mains voltage for safety you need a cicuit breaker, solid state relay for switching, good quality thermocouple and controller, a means of isolating the element wire properly from the printer frame and yourself. So at this point option one doesn't look too bad. Isn't as DIY but is certainly simpler, especially for those who may not have electrical experience. The aim of this design was to have plenty of cooling whilst keeping the head as secure as possible to the end effector, again to keep print quality as high as possible. This is achieved by bolting the flange with 5 x M4 nuts and bolts to the effector. She isn't going anywhere. 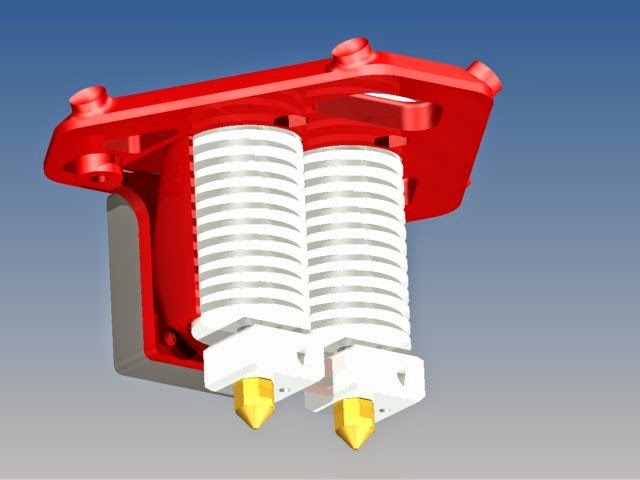 I also have plans for an auto level hot end but that is still in the design stage. Again rigidity and simplicity is key but also precision. I have settled on and ordered 10mm magnetic N42 balls from Frenergy Magnets. I chose magnetic balls because to me they will work well, have no maintence and no backlash to contend with. 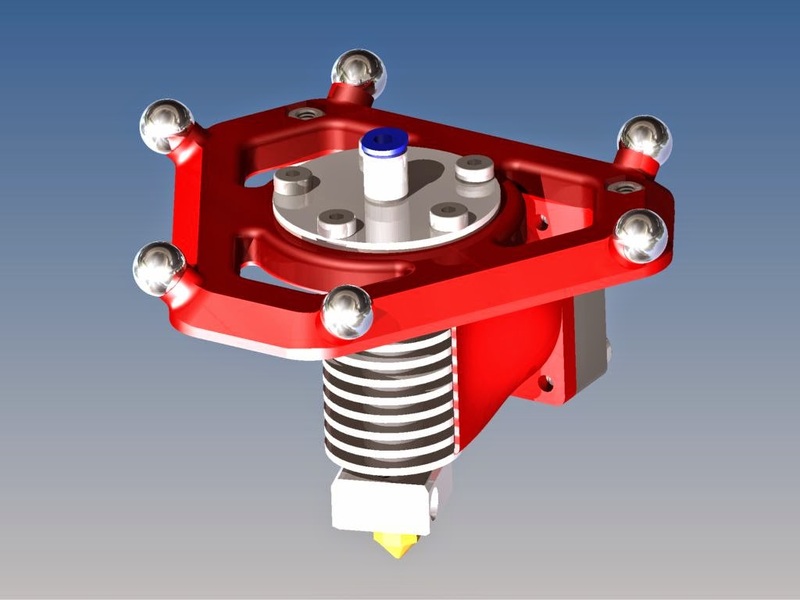 Plus given the low weight of the effector should have no issues with strengh and magnets enable quick change overs between heads or for maintenance. 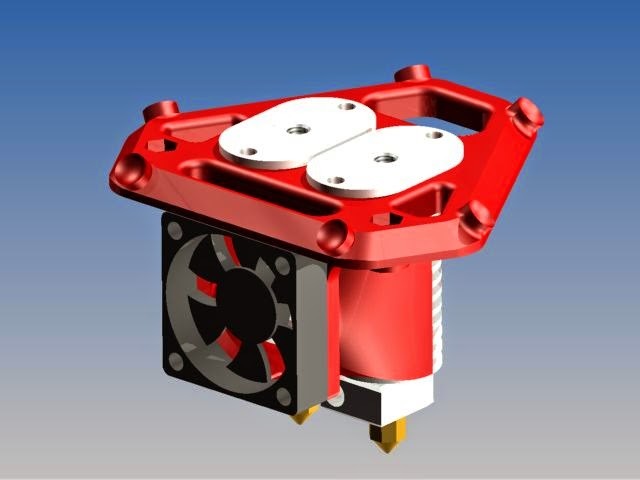 I have designed and printed 2 effector versions, a single and double extruder as seen below. Both use a 40mm 12v fan with duct to cool the hot end and both have been designed to enable the use of E3D hot ends by using adapters I also made. My frame will be rigid, using 30x30 aluminium extrusion and 6mm aluminium plate for the floor, ceiling and heater plate support. 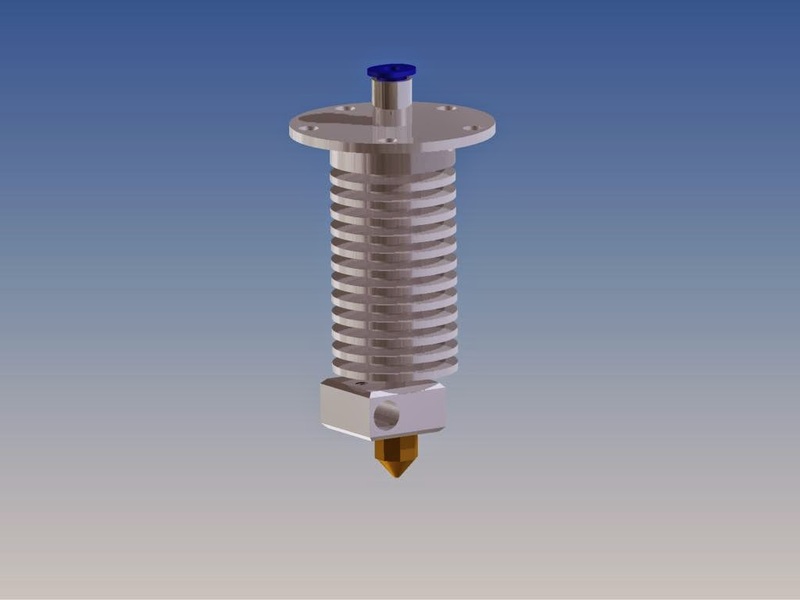 This decisoin was made primarily to allow for faster speeds without vibration or flex. Whether this will pan out is yet to be seen but better to plan for the worst case scenario than with I had done it defferently down the track. The use of alluminium plates will also negate the need to print corner peices, making the build faster. The shape I have chosen will enable a full perspex cover to be added to the printer which will serve a few purposes. Safety to keep little finger out, keep the heat in for those larger prints, but also to act a fume cupboard so I can extract the ABS fumes away safely without stinking out the house. All electrical stuff will be contained under the heat bed suporting plate. This will add additional weight to the bas eand add stability, enable cooling of all the parts with a single fan and keep things pretty. 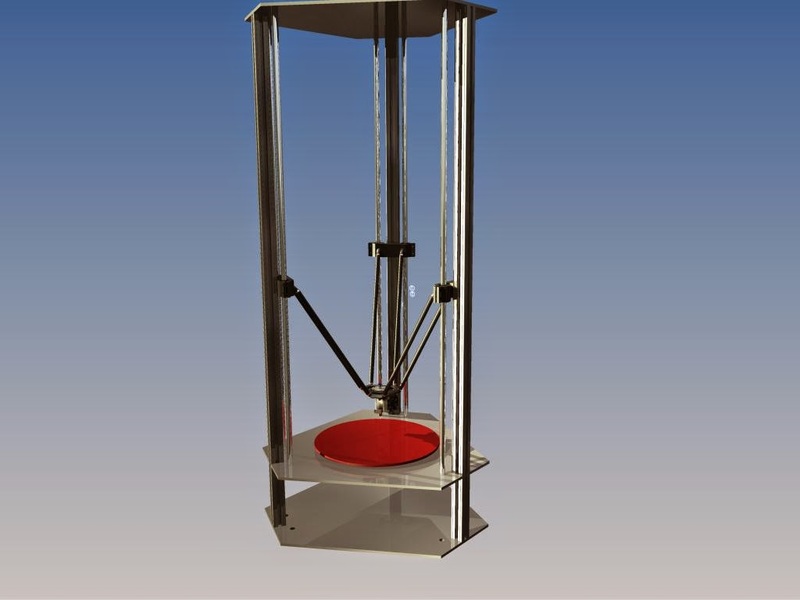 Dimension wise the printer will be 900mm high and 510mm at the widest point. This has been the hardest choice and to be honest my decision for the first build is based on cost. I have used Hiwin linear bearings and rails in many automation projects and as ideal they would be for this project I cannot find them cheap enough to be worth it. Even using HGW15 bearings and rails is quite costly. So I am going to use 12mm linear rods and bearings and 3D print bearing supports to suit. To be hoenst I cannot see these will not be accurate enough, especially with the 30mm square extruded uprights as well. It also means I can upgrade down the track if the rods prove to be not up to the task. So,, that's my progress. 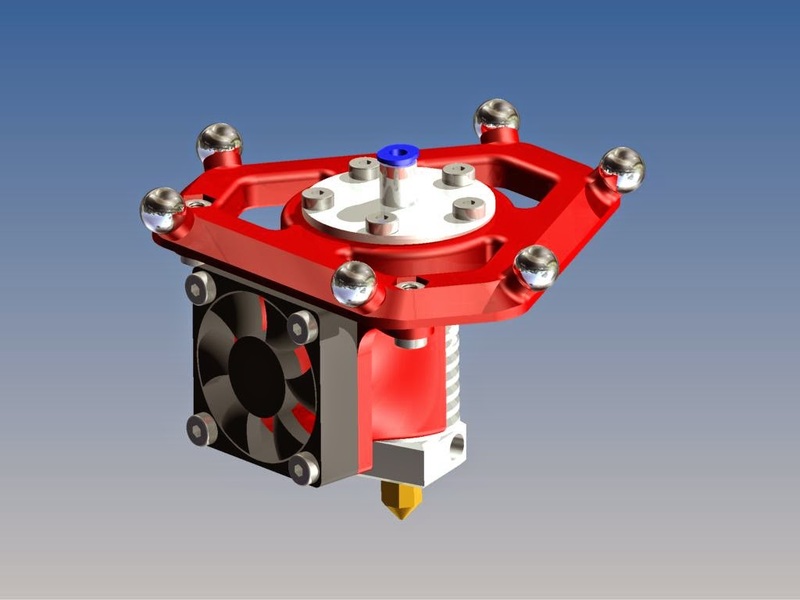 I have magnets, alloy extrusion and carbon fibre rod being delivered soon and more designing to complete, then decision on which control boards and steppers to use.